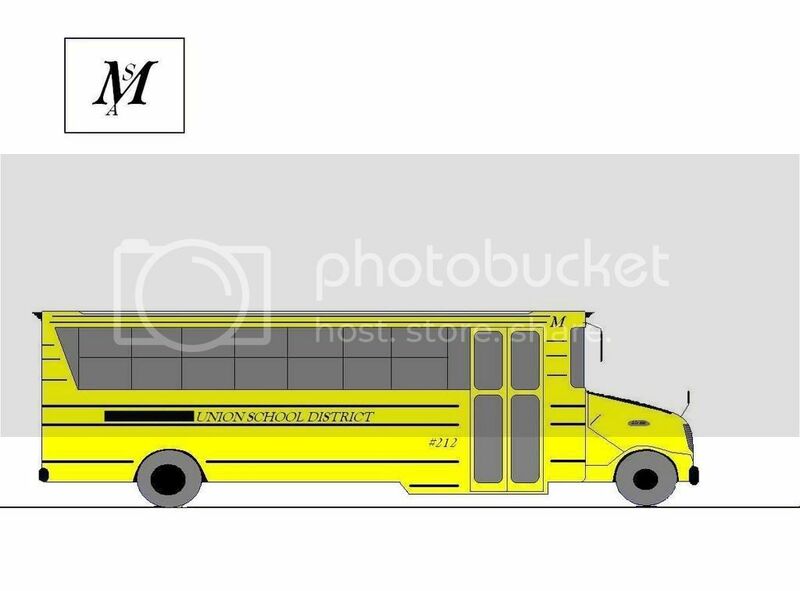 I love to design buses in my spare time. 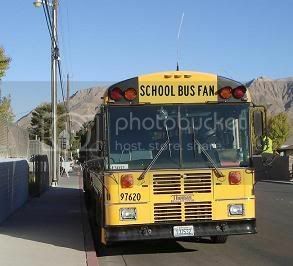 Someday I would like to start a bus manufacturing company. Here are my designs. They are a little distoted, but tell me what you think. Tell me what you think of these designs and what you would change. Does anyone else like to design buses? They're cool. I like to spec them. Very nice, I like how the back window setup is its cool. Nice job. 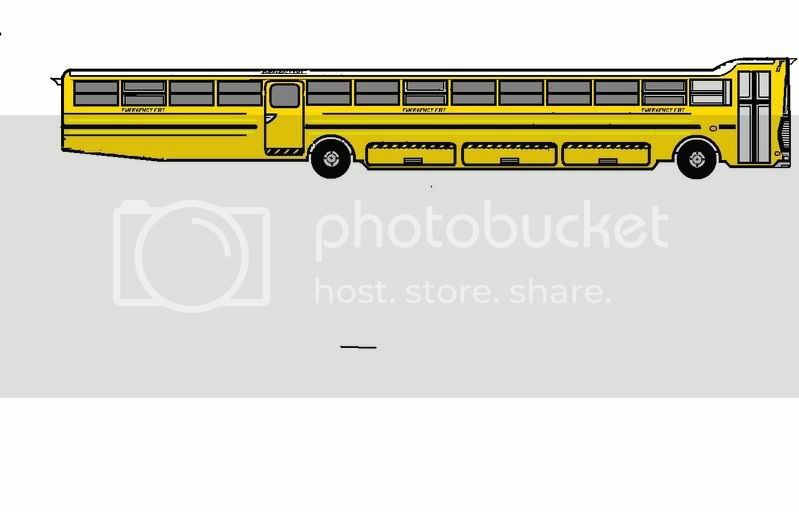 well i design buses myself and they will be a apart of the update to my site. I'll need to show my latest off someday. Really nice, Lifestar. 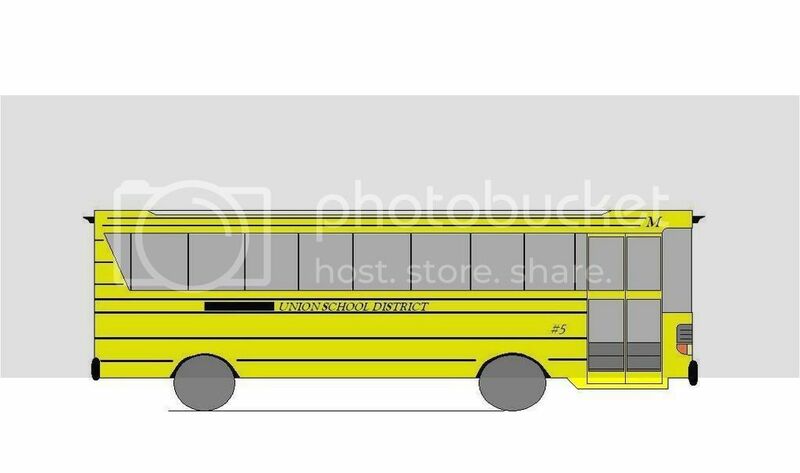 I did a 3D design of what I think the Gillig Transit Coach school bus should look like now (had they stayed in the school bus industry) years ago. Other than that, I haven't done any "designing" other than drawing up the blueprints for the restoration of my own bus. Here is one of my FEs from two years ago. Oh wow, Rich that is amazing. Do you have more? Here is a look at my newest design, completed ten minutes ago, it is a 2010 RE, I will leave the company up to you. I am stayig with my wrap around windshield concepts. 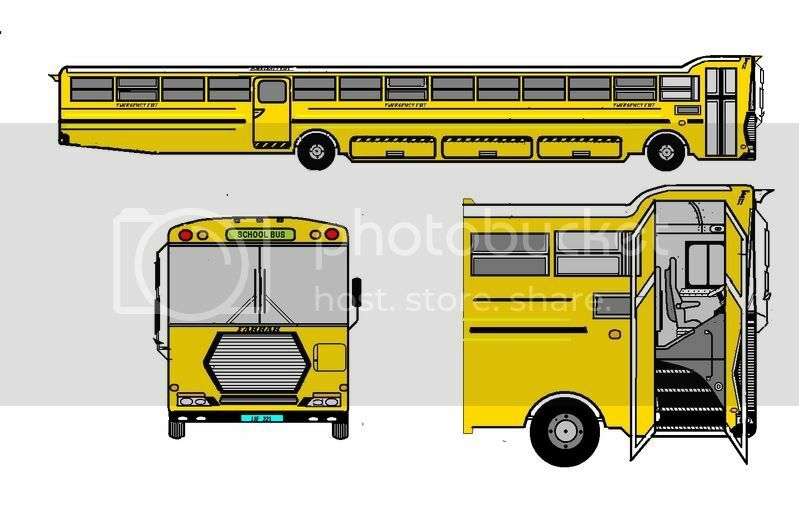 I just located my 3D Gillig school bus design. I followed the design of the original, right down to the front and rear roofcap curvature, and then incorporated modern lighting and the Thomas ER HDX mirror design. Very nice, Steven. I wish I had enough patience to make something like that. Wow, all of yours are way better than mine. I like those HDX mirrors on the Gillig, the look better thann they do on the HDX! I am learning to use a 3D modeling program, but I dont think I would have time to do something that good. That FE design looks great too, I like it better than my FE. Good RE to, I didnt see that before. I like that big windshield! -Wrap around windshield with combined driver window for improved visibility. -Improved engine access. Engine service doors open side to side vs. the old over head engine service door. -Wider aisle, increased by 4 inches to allow easier mobility and safety. You can find some of my designs at my website. CLick the signature. WOW... Amazing! You guys all did a VERY, VERY wonderful job on all of those models... breath-taking, all of them! You'll notice a few details may be missing (mirrors) and I also spaced out where some colors need to be (the flashers). As well, stray marks are present in a few places. I had many many more designs, but I had to reload Windows on my computer and never got a chance to save everything else to a disk. This is all for now. What is this "Hydraulic Brakes" nonsense you speak of? I love this one Steve!! Especially the "UNLAWFUL TO PASS WHEN RED LIGHTS FLASH" sign. I drew my own bus design....though, I gotta find it and scan it. I call it the 2009 Blue Bird Vision. It's based on the visions, but the headlights and turn signals are seperated. The signals are above the headlights now. It's kind of hard to explain, so I've gotta find it and scan it. Hold my mountain dew and watch this. Jared after looking back at your 09' Blue Bird Vision I really do like, maybe not for a Vision but the other features are very nice. Good job on that. Keep up the great work. 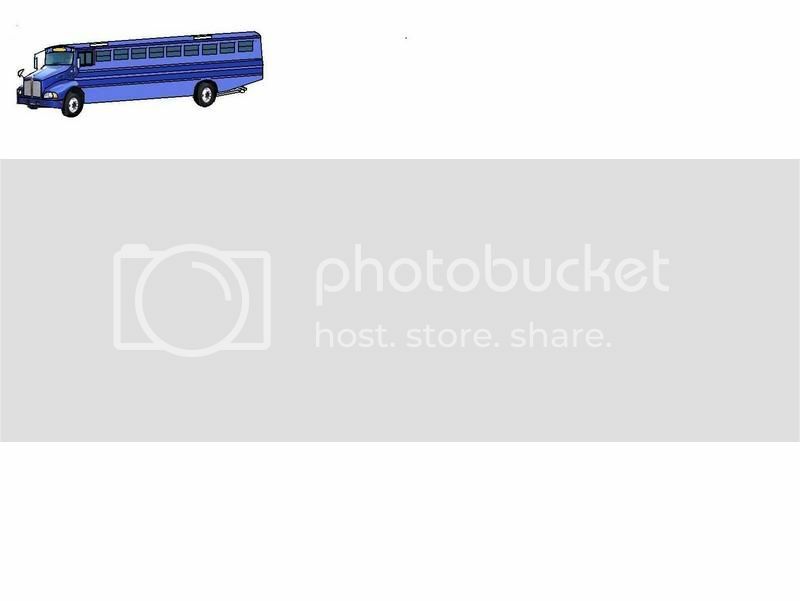 Have you ever tried making a transit style bus? I decided to make an updated pic of my design a few posts up. Still has a few kinks, but it shows a little more details. I feel sorry for the unlucky victim in the other lane passing by when the rear end swings out. Steve, I just know that those lights are from the stockroom of 3M's programmed visibility manufacturing line. Nice concepts man. I really like the future look on those Blue Birds. Can you do a future 2010 WAYNE concept ??? It will be great to see how a future WAYNE will look. dang it you guys got me itchin' to draw up a bus! Bring back the "backing" sign! Here's a quick new design I've made... I wish Blue Bird would take this up someday, I think it would be a pretty good success. It's based off of Kenworth's T-300 Class 6 commercial truck series. quick design, ha. That is amazing looking, you would have to sit pretty high up the way those Kenworths are designed. Great job on that. Thank you... Well, from what I see in comparison to the vision, I would be led to believe that the driver's seat would have to be too much higher if any higher at all. Also one of the local firetruck pumpers is a Kenworth (based off of the T-300 front-end design) and I had the lucky oppurtunity to go and check it out every tuesday when it goes down to the pump house right in the back of my house (in front of Mettawee river). It's actually not as high up as one would assume. 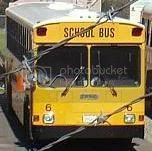 The forward visibility in those things is astounding, one reason I believe it'll work well as a school bus design. Also, it's pretty asthetically pleasing too. What sort of program did you use to create that?